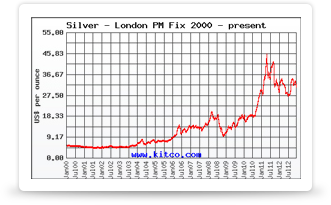 Buying silver from Craigslist can be a great idea for a number of reasons. It can also be a risky proposition due to the nature of buying silver and other high value goods online, especially when buying from a private seller. One of the great things about shopping on Craigslist for silver, is the fact that you never know what you are going to find listed there. By checking the listings regularly, all manner of items can be discovered and silver is no exception. The chances of finding an item that has been listed at well below its actual value here are perhaps higher than anywhere else online. While people are doing house clearances or getting rid of old possessions, they often turn to Craigslist when trying to offload unwanted goods. This can make the chance of finding undervalued goods a reality. Another reason why Craigslist can be a good place to buy silver is that, if the private seller is located in your area, you will probably have the opportunity of meeting them and seeing the bullion before agreeing on the sale. Often when buying online this is not an option. As private sellers often have little to no overheads, the prices they list their items for, or at least the price they are willing to accept, will be lower than a coin shop, with high overheads, might be able to offer or accept. While shopping for silver on Craigslist can have its advantages, it isn’t without its problems. With fewer incentives for sellers to remain honest, it can attract unscrupulous dealers, wishing to take advantage of inexperienced buyers. For this reason, make sure you do a good amount of research on any items that catches your eye. This should help you determine the authenticity of the item, and show the dealer you know what you are talking about, when you make contact with them. When paying for the item, you can either make the payment in person if convenient for both parties, or else transfer the money online. Both methods can be risky but paying in person and exchanging the payment for the goods simultaneously ensures you at least receive the listed item. Although when arranging to meet the seller, to hand over the payment, make sure you agree on somewhere sensible. Meeting someone alone, down a dark alley with a load of cash is never a good idea. Once you’ve seen a silver item listed on Craigslist that has caught your eye, it is best to open communication with the seller as soon as possible, to avoid the item getting sold to someone else. Make sure you ask for clarification from the seller that the item listed is what you think it is. Doing this via email or text message allows you to keep a record of any information shared and any prices agreed upon. This can save you a lot of problems down the line, if the sale goes wrong or one party feels they have been slighted.